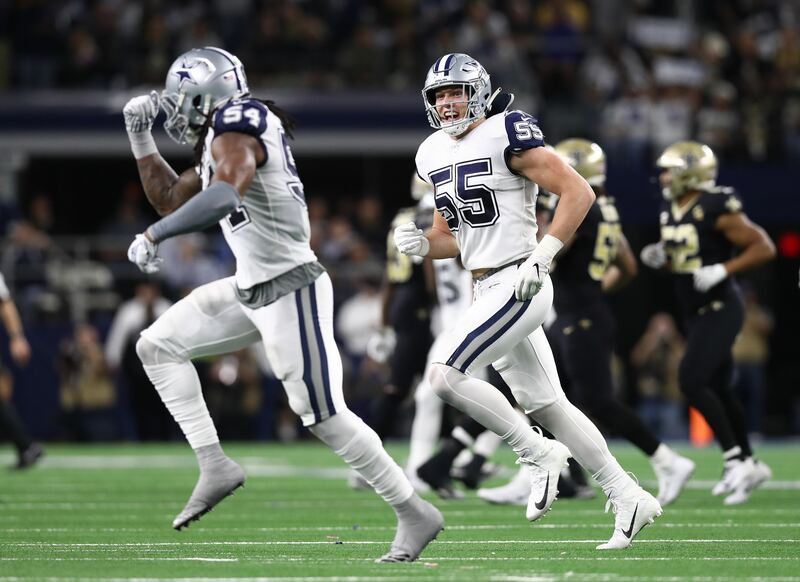 With voting for the 2018 Pro Bowl now open, I thought it would be a good time to take a look at the Dallas Cowboys and try to figure out which players, if any, have a chance to make the roster. I decided to break it down into two different categories… the players I consider a lock and the ones on the fringe of making it. There is really no way of knowing for sure how the voting will go, so I tried to base my predictions on how each player has performed so far this season. Please feel free to add your own thoughts and opinions in the comment section at the end of the article. There are those who believe that Dak Prescott is only good because of the Dallas Cowboys offensive line and their strong running game, but he is having a fantastic season regardless. 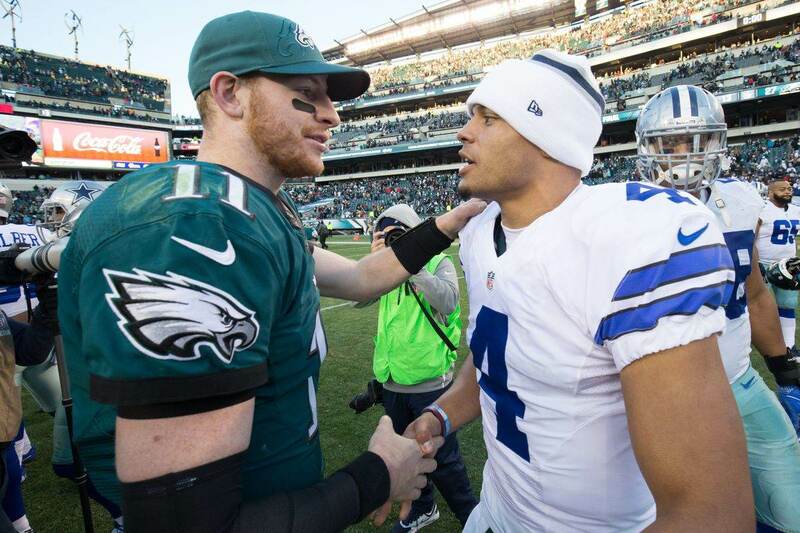 He has one of the best QB ratings in the NFL (96.3) and has thrown 21 touchdowns, also among the best. He should make his second Pro Bowl this year. Tyron Smith has been battling through a back injury the entire season and had to miss last week's game against the Atlanta Falcons with a groin injury. But, he is still arguably the best left tackle in the entire NFL. I still think he makes the 2018 Pro Bowl, which will be his fifth in a row. 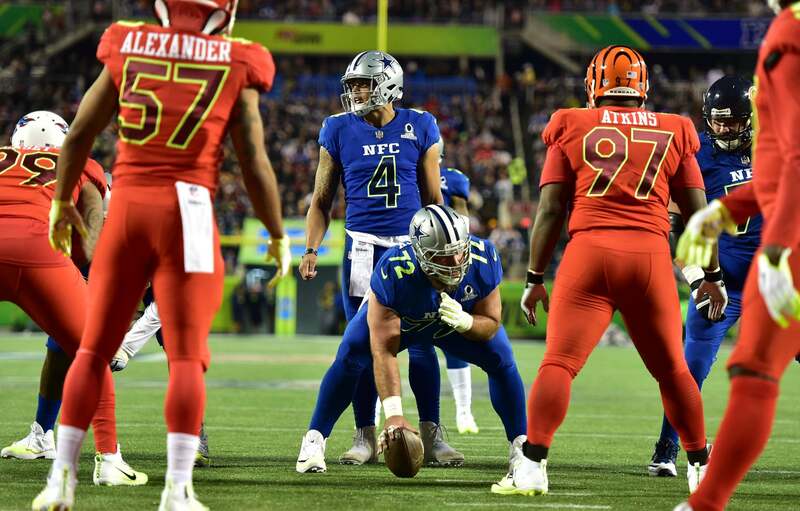 Zack Martin has made the Pro Bowl every year since entering the NFL and I don't see any reason why that will change this season. Making the 2018 Pro Bowl roster will be four years in a row for Martin. Travis Frederick is once again putting together a Pro Bowl caliber season and is without a doubt one of the best centers in the entire NFL. I think he will receive the most votes for a center, which should make this his fourth Pro Bowl appearance in a row. DeMarcus Lawrence is currently leading the NFL in quarterback sacks with 11.5 and without a doubt should make his first Pro Bowl. I think even if things were to end today, he should receive enough votes to make the 2018 Pro Bowl roster. He has been that dominant. Oddly enough, David Irving currently isn't on the 2018 Pro Bowl ballot among defensive tackles, despite being one of the best in the league. He has already accumulated six QB sacks this year and also has 12 tackles for a loss. If he continues to play like this, he should make his first Pro Bowl appearance. 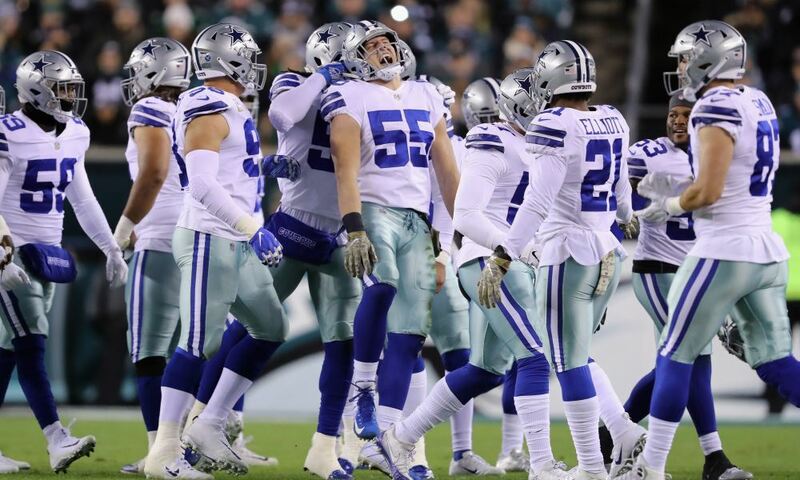 Chris Jones is an underrated weapon for the Dallas Cowboys, but despite that, he has emerged as one of the best punters in the NFL. He is averaging 43.5 yards per punt with a long of 62 yards. But, what sets him apart from the rest is he is at the top of the list at pinning opponents inside the 20 yard line, something he has done 20 times so far this season. If not for the suspension, Ezekiel Elliott would be very close to leading league in rushing for the second year in a row. Unfortunately, his suspension likely hurts him in the Pro Bowl voting, but there's no denying he is arguably the best RB in the NFL. He still has a chance to make the 2018 Pro Bowl roster, but given everything that's happened this year it seems unlikely. Before Dan Bailey suffered the groin injury that has kept him out the last few weeks, he was absolutely having a Pro Bowl caliber season. He would've likely been a lock to be voted into the 2018 Pro Bowl, but missing so much time might hurt him. He still has a good chance to get voted in on name recognition alone. Before the 2017 season started, I picked Maliek Collins as a breakout candidate and believed he would make his first Pro Bowl appearance. He has had a good season so far, but probably not a Pro Bowl caliber one yet. A bothersome foot injury and a change in position due to injuries could hurt him in the voting, but he still has a chance to turn things around to open a few more eyes before the voting is over. Kavon Frazier has a chance to make the 2018 Pro Bowl roster as a special teams player. I personally think it's unlikely because he's not really a household name. I'm not even completely positive he is the special teams player the Cowboys have on the roster, but there is a chance. Who are your Dallas Cowboys players to make the 2018 Pro Bowl? Film Room: What’s Going On With CB Anthony Brown? Can the Cowboys Afford to Keep DeMarcus Lawrence?